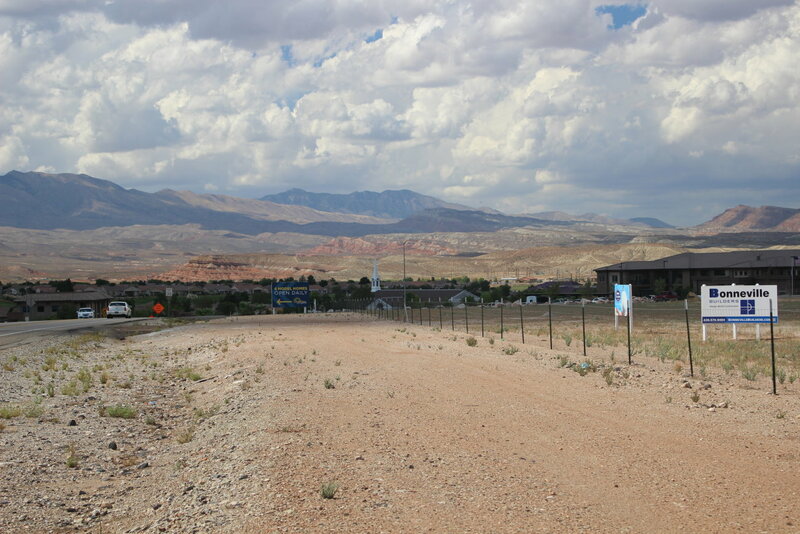 ST. GEORGE – Few things can fill a city council chamber to capacity like the prospect of unwanted commercial development popping up next to a residential community. That was the case Thursday night as around 100 SunRiver community residents flooded into the St. George City Council meeting to voice their opposition to a zone change that would make way for a five-story hotel next door. In addition to the the proposed hotel, SunRiver residents also opposed the potential approval of auto sales being made a permitted use in the area. Those residents left the council chambers frustrated as the City Council voted unanimously to approve the zone change. A handful got up and left before the vote was made; one man said “It’s a done deal” as he headed for the door. The site of the proposed 120-room hotel – a Hampton Inn – is located east of the primary entry into the SunRiver 55-and-older community and will sit on the north side of Sun River Parkway, covering approximately 2.43 acres. 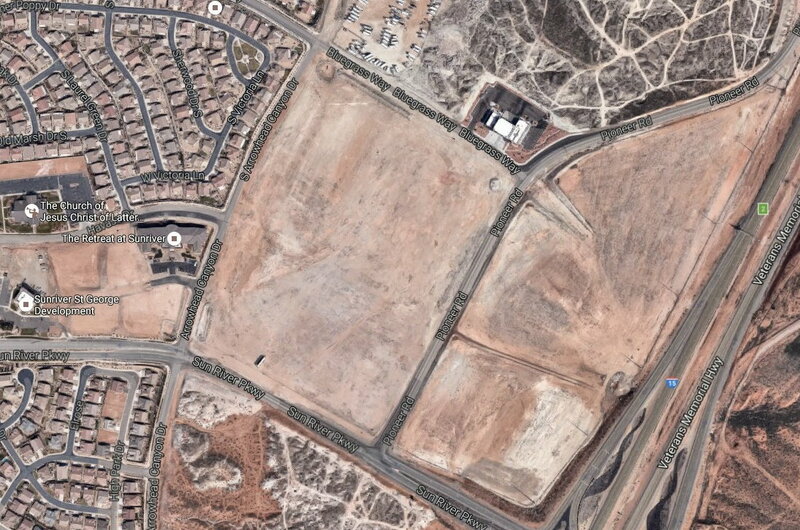 That parcel is a part of a much larger, empty lot located between Pioneer Road and Arrowhead Canyon Drive. “A five-story hotel is not necessarily out of place,” Councilman Ed Baca said, noting the many hotels that already exist in the city. He also said the hotels help add a needed mix to the city’s economy that also aid in keeping property taxes down. The land on which the hotel is to be built is already zoned for that use. However, the city has a height-limit of 36 feet and the overall structure is around 62 feet. Developers asked for a height variance, which tends to be a fairly common request brought to the City Council. The proposed height of the hotel didn’t sit well with SunRiver residents. Among the objections they expressed were that the height would allow people to look down on the surrounding neighborhoods, thus disturbing the privacy of residents. Other concerns related to increased traffic, a negative effect on property values and a potential draw for crime related to drugs and prostitution. As well, a number of those who spoke to the City Council Thursday said that when they bought a home in SunRiver they were told that the future commercial development around SunRiver would be light. This was in reference to potential grocery stores, restaurants and retail. 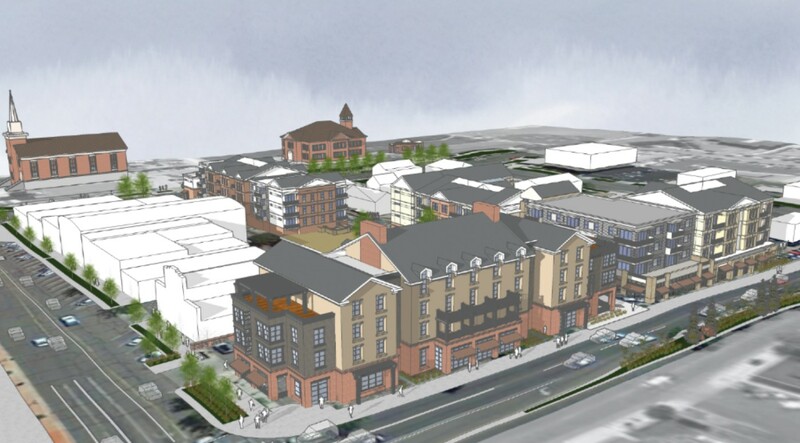 McLaughlin suggested developers make the hotel three-stories so it wouldn’t peer down on neighborhoods. What developers have intended for the area is to continue to make it a beautiful development, Stewart said. 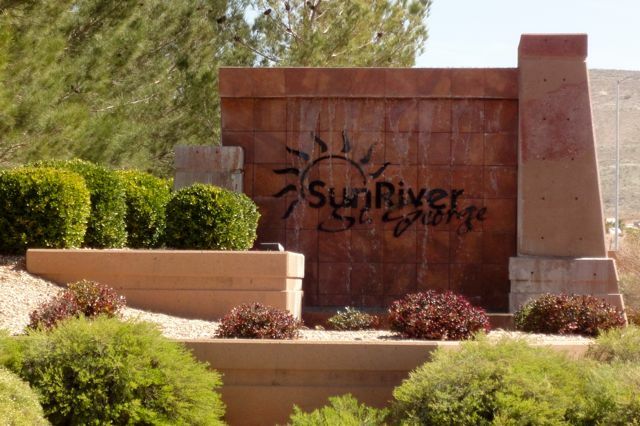 For the last 20 years they have worked to make SunRiver one of the finest developments in St. George, and will continue to do what is the in the best interest of SunRiver. Ultimately, Baca made a motion the council approve the zone change for the hotel. That is when some in the audience started to leave, saying the conclusion was evident – it would pass; and so it did with a unanimous vote of councilmembers. People began to file out of the council chambers, and one man called out for people to remember what the City Council had done next time council members are up for re-election. The possibility of auto sales being offered in the SunRiver area was another issue that drew the ire of community residents. Due to a misunderstanding, it had been thought that the developers needed to request a zone change to allow for auto sales. This is not the case as it is already a permitted use. The property involved is zoned for auto sales but the city must approve the specific street or streets on which such sales would be permitted. The earliest that developers can address the city on this item is Oct. 11 via a Planning Commission meeting. Accordingly, the matter was tabled and no action was taken by the council. Stewart said developers have no intention of bringing in an auto dealership. Instead, they were considering the possibility of a golf cart or recreational vehicle dealer. The council approved a zone change on 2.95 acres located west of 2450 East and the Virgin River. The zone change helps bring the RiverWalk Village – a 55-unit apartment complex that will offer affordable housing – a step closer to fruition. The Switchpoint Community Resource Center is heavily involved in the project and will offer the same services to RiverWalk Village residents it does to clients of the resource center. The council also approved measures related to the City View project, a mixed-use development aimed for the downtown area. It will sit between Main Street, St. George Boulevard, 100 West Street and Tabernacle Street. the project consists of a 60-room boutique hotel and two other complexes that will provide a total of 110 residential units set atop 10,000 square feet of retail space. As a part of the approvals given by the council for the City View project, developers will be allowed to demolish the George Worthen House at 32 W. Tabernacle St.
St George, you have something special. Your city is unique in so many ways to the rest of the country. Development could take place that enhances the natural beauty while still allowing the economy to thrive. Unfortunately for you, this shameful Council has no vision for the city other than development=good, and the will of the people be dam*ed. I am so sorry…. sorry to know that you once had something so exceptional, and now it is being buried by Council members with dollar signs in their eyes and contempt for the residents. They will not stop until the entire town resembles Sandy, UT. Let me guess… your backyard backs up to the development? nope, don’t live there. Let me guess… your backyard is a trailer? Let me guess- you’d prefer another golf course there? If Sun River didn’t want the property developed, then Sun River should have bought the property and left it as a dirt lot. As for “disturbing the privacy of residents”- your houses are only 20 feet apart! You have no privacy as it is! Regarding the number of residents that spoke to the City Council Thursday said “when they bought a home in Sun River they were told that the future commercial development around Sun River would be light.” … Well guess what, cupcakes- you don’t get to dictate what can be built on property you don’t own. It was zoned for commercial development. If that idea bothered you, there were places on the other side of Sun River that did not back up to commercial property. Feel bad for the poor older couple in Hurricane that had a pickle ball court stuck right across from them. They bought their house 20 years before the city decided to change what was across their street. You are entitled to your opinion even if it reeks of jealousy, envy and typical liberal sheep tank talk…..Cupcake. Your comment had no bearing on mine. It looks like you just wanted to use your silly words to sound high and mighty. Not one thing in my comment could be construed as ‘jealousy, envy and typical liberal sheep tank talk’. That can all be said about the Sun River residents whining about the construction, though. You must be high, latte! Have you checked who developer representative Darcy Stewart represents? Check it out….all of you may be surprised at who the developer is. There is no need for “Sun River” to have bought the property, guess who owns the property in question? Nope, I haven’t bothered looking it up. I don’t need to. I believe in the rights of property owners. The land is zoned for commercial use, and the city grants exemptions in building variances all the time. To deny them the same considerations would be discriminating. Sort of figures, I guess, that the retirees in Sun River believe they should be the ones dictating to the city what will and won’t be done. There is nothing in the world, like a retired executive, with too much time on his hands, when it comes to trying to run everything. No PR it’s about a limited sized beautiful community being destroyed because the sheep think blocking views of our mountains and equal-opportunity crime in every area is progress. Your ‘retired executive’ assumes a lot; mostly wrong btw. Oh it makes sense now! You live in Sun River, and expect the rest of the world to leave ‘your’ mountain view alone. Your comments reek of ‘jealousy and envy’ now. A five story building. No wonder residents are upset. That is an extreme variance for city council to approve. the building is going up ! Well once again it’s all about lining pockets…..Darcy Stewarts and the good ole corrupt government machine bullies its way along. Beautiful communities with short-distance mountain views should not be ruined because the sheep call it progress; it is anything but, talk about a oxymoron. But you didn’t complain when they built that Starbucks! Go order yourself a high latte and calm down! I got new socks today !